Your company’s website is an online gateway attracting and securing new business for your staffing firm, but do you give it the time and attention it deserves? Are search engines able to easily find you and drive new traffic your way? Is your message clearly communicated? Do visitors embrace your website’s navigation and layout, or do they leave your site frustrated, never to return? These are just a few of the points to consider when you evaluate the effectiveness of your staffing firm website. As they say in the world of dating, first impressions have the potential to make or break a relationship, and the same is true in the business world. Visitors to your staffing firm website are looking to sign on with a capable, professional recruiting firm. Are you communicating that feeling to your audience? Do potential clients and candidates feel reassured by a site that is updated on a regular basis and features relevant, informational content, or are they met with a tired website design that has seen better days? Evaluate the effectiveness of your staffing firm website by taking a critical look at your site and encouraging the members of your sales and recruiting teams to do the same. Be honest about what works and what features need to be updated. Work with a website designer to ensure that your brand shines through without taking over every page. Conduct market research by asking outsiders (within your client and candidate audience) to comment on what makes your staffing firm website stand out from your competition, and getting their feedback on areas where you need to reassess your message. Was your website designed with a content management system (CMS) that allows for easy internal updates, or are you reliant on your website designer/developer to make each and every change? An effective CMS allows non-developers in your staffing firm to easily update your calls-to-action, add new, informative content, and upload new blog articles to your site. A great CMS also ensures that your search engine performance is optimized drawing new visitors to your website. Are the photos on your site tagged appropriately? Have relevant keywords been identified on each page and in every blog article? Do the website analytics show that there are broken links or high drop off rates? Gather the answers to these questions to determine whether your staffing firm website passes the test. Now that you have identified areas where your staffing firm’s website is under-performing, take the time to fix whatever is broken. Top priority must be given to making sure that your site is responsive to all types of mobile devices. Nothing frustrates users more than a site that is not easily viewed on a variety of devices. 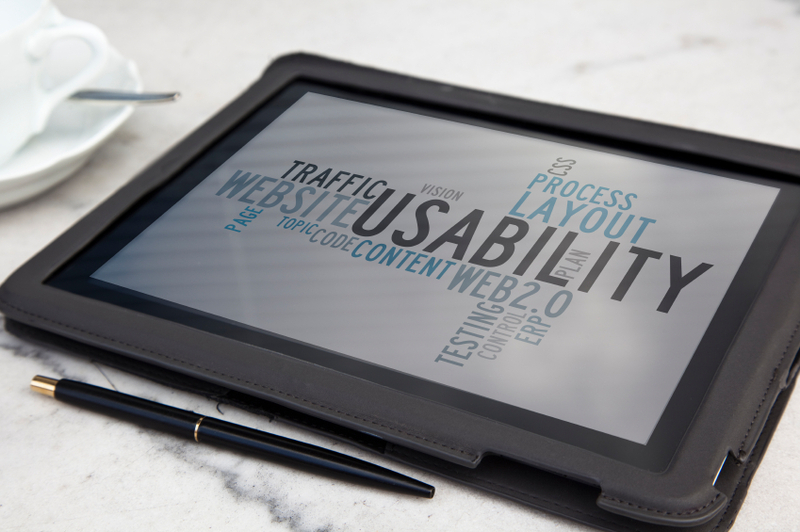 Is it possible for visitors to effortlessly navigate through your website with their phone? Have you integrated functionality into your site to allow candidates to quickly apply to open requisitions with their tablet? In order to produce leads for your staffing firm, it is essential that your website is not creating roadblocks and causing potential clients and candidates to drop off. Despite the moral of the famous children’s story, slow and steady doesn’t win the website race. Today’s professionals are looking for immediate gratification, and a website that takes too long to load is not going to pass the test. In order to evaluate the effectiveness of your staffing firm website, perform some tests to determine your current site speed. Does your site load in less than a few seconds? Are there large images that slow down your pages or lengthy videos that require extra time to buffer? Using various forms of multi-media is a great way to draw your audience to your website, but not if it costs you valuable business in the process. In order to convert leads into new business for your staffing firm, you must ensure that they actually stick around long enough to explore your website and find out more about your staffing services. So, your doctor gives you a clean bill of health, but does that mean that you never need another checkup? The same rule applies to your staffing firm website. Even after your staffing firm website is optimized, technical audits must be performed. Assess your site to ensure that there are no broken links and review your behind-the-scenes analytical data on at least a weekly basis. In order to entice visitors to return to your site, generate new content that talks to recent trends within the industry and addresses the needs of your target audience.